The legendary Bowers & Wilkins name is one amongst the multitude of hi-fi names that still has a label of being one of the best in the world at the game. It has recently upgraded its line up to feature more affordable (relatively!) gear for a wider audience. But do they really make the best noise cancelling headphones that give a hard time to other high-end makers such as Bose and Sennheiser? 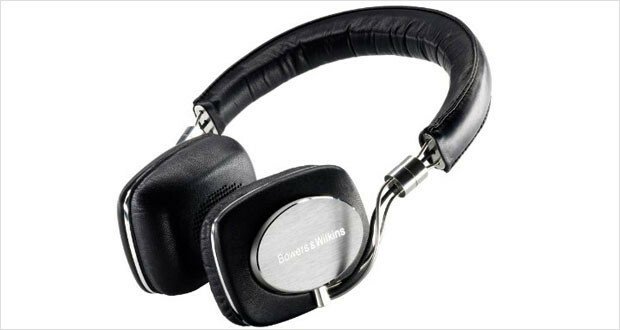 The Bowers & Wilkins P5 headphones are certainly one of the more formidable contenders for the best over ear headphones award. Built with both class and usability in mind, these metal-and-leather pair of headphones sits snugly on your ear with a closed back dynamic to remove much of the external noise and have you listening to some great music without much of an effort. The headphones produce vibrant and warm tones with exceedingly beautiful clarity that are sure to transport you from wherever you are to the studio or the concert in your mind. The highs are clear and the bass is excellent. The vocals shine with the vivid sound stage and enveloping mids. Black sheep’s leather covering the ear-pads and the head cushion and machined metal frame look quite handsome and classy while also ensuring ergonomic comfort to the wearer for long periods of time. The wires are detachable in case they stop working – and it is a simple matter of replacing the wires instead of the headphones themselves. Dimensions9.6 x 7.2 x 2.8"
The materials used and the design itself lends towards being a sturdy pair of headphones. Certainly these are not tanks that you can throw around, but they look like they can take a bit of beating. While the overall feel of the on-ear headphones are great, the leather ear pads make listening to these on hot days quite a sweaty, steamy affair (with none of the naughty intonations). Otherwise, a little bit of fiddling around with the placement is required for optimal fit and performance. The highs are crystal clear with a chirpy intonation instead of a brighter tone with other earphones. Beautifully enveloping vocals and sound stage with a bit of warmth are what these headphones produce. The bass is deep with a little oomph that is just right for a pair of headphones this size. The acoustic seal is quite tight, and the closed back dynamic allows for minimal sound leakage. The overall performance is excellent, and for the steep price it is quite well warranted. The steep price is certainly a deterrent to most, but if you are a business traveller, have the money to spare and live in somewhat mild climates, then the Bowers & Wilkins P5 headphones are definitely one of the headphones you should try out before making a buying decision. The sound signature is unlike many in the field and will probably have you going places if you try them on. We heartily recommend these cans.